Lt. Joe Perry, aa ’96, bs ’97, is no artist. Far from it, in fact. But that hasn’t stopped him from advocating for one of the largest community art projects Topeka has seen. In 2013, while serving as property crimes commander of the Topeka Police Department, Perry looked for ways to reduce the high property crime numbers in Topeka. He learned some communities reduce graffiti and vandalism by using the Crime Prevention Through Environmental Design approach. Changing certain aspects of the environment can make it harder for property crime to take place. One way to bring people to the area? Public art. “Painting isn’t my thing, but I thought, what if I found someone else who does that for a living and see if they’ll partner with us,” Perry said. 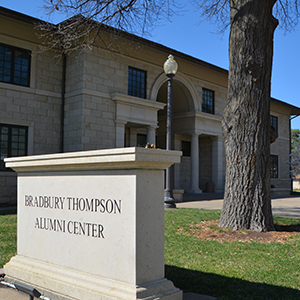 A partnership is exactly what he found in ARTSConnect, a Topeka non-profit dedicated to expanding the arts and taking on new and innovative projects. A call to ARTSConnect led to a meeting the next day, and the Topeka Mural Project was born. Even though the first nine murals are in areas of higher property crimes, there are no reports of graffiti after the projects are completed, and there is an increase in property improvement in a half-mile radius surrounding each mural. Fizell says the partnership meets shared goals. “We can abate graffiti and lessen property crime and vandalism with these murals, but they also line up with our broader community goals,” Fizell said. The 10th and largest mural will be painted on a building across the street from the Brown v. Board of Education National Historic Site. The concept, designed by local artist Michael Toombs, focuses on themes of diversity, equality, justice and inclusion. The design includes several drawings by local magnet school children for the Living the Dream Arts Contest. With nearly 40,000 people visiting the landmark each year, the mural, 130 feet wide and 30 feet tall, is bound to become another point of interest. The project is scheduled to be completed by June 2018, and Perry said, the timing couldn’t be more perfect. With the current national discourse, there’s significant potential to help build bridges through community relations and police relations. 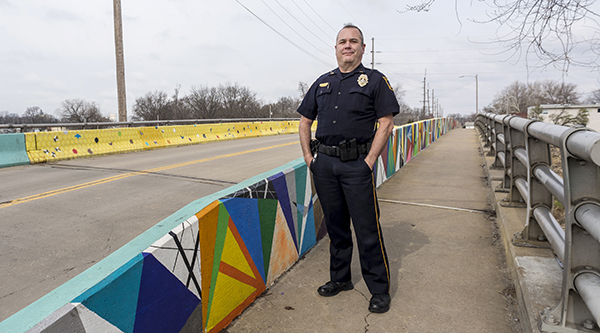 Even though he’s no artist, Perry will be there to paint — along with his family, members of the Topeka Police Department, ARTSConnect, Downtown Topeka, Inc., Safe Streets and members of the community. 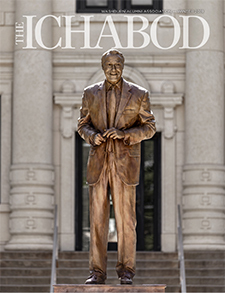 The Ichabod tells our story with features on alumni, faculty, staff, students and friends, along with the latest campus news. Read the 2018-19 winter edition online and look for it in mailboxes in January.